Sandy Bay locals who have defended their resident kiwi population with intensive predator trapping for more than a decade welcomed an addition to their local kiwi tribe in 2017. Kokiri, a six year old male Northland Brown Kiwi was released into a temporary, human dug, burrow in a protected valley less than a kilometre from the beach in November 2017. Earlier in the day he had been caught by Accredited Kiwi Handler Todd Hamilton on Matakohe-Limestone Island, the kiwi crèche in Whangarei Harbour, where he had been placed as a chick to mature in the safety of a predator free environment. The healthy 2kg bird was named after a prominent point on the Tutukaka Coast, near where he was released – Kokiri Kaone. This was once a Pa site overlooking a well known fishing ground where leatherjacket, a small, sweet tasting fish called kokiri were known to breed. Kokiri can also mean to champion a cause or to rush forward. Kokiri was fitted with a radio tracking device which will allow him to be monitored while he adapts to his new environment and hopefully pairs up with one of the area’s resident females. He has been tracked cruising around Sandy Bay and Kaone Point. He is usually active about 11 hours every night walking his territory and feeding. He has been heard calling close behind houses, on lawns and across valley’s. Kiwi monitor/tracker Nan Pullman has caught glimpses of him disappearing into the long grass behind houses at dusk and tracked him to clumps of pampas next to baches and flax bushes on the edge of gardens, as well as in deep beds of kikuyu and bracken. Where will Kokiri wander next? Will he find a mate and settle down – or keep exploring Sandy Bay..? 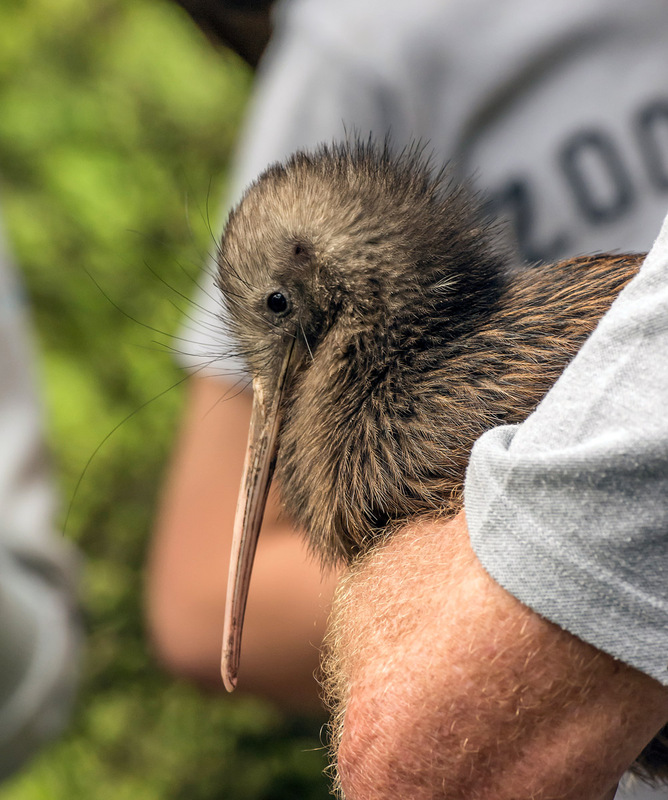 You can become a kiwi sponsor and follow the life and adventures of Kokiri by signing up to the Kiwi Coast ‘Follow a Kiwi’ Program. As a Follow the Kiwi Sponsor you will receive news, updates, photos and event invites FIRST!